With the increase in the digital media transfer and modification of image is very easy. So one major issue of proprietorship is raised, as copying and transferring is very soft practice. 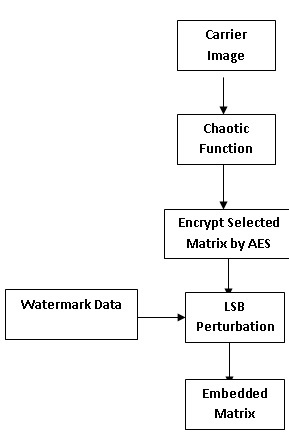 Here this paper has resolve proprietorship problem by embedding the digital data with encryption. In this work embedding of data is done applying the Arnold’s Cat Map algorithm for randomization of pixel values. Then robustness is provide by using the AES algorithm. Finally by using spatial technique embedding of digital data is done in encrypted image. 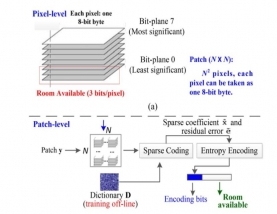 By embedding in LSB portion of the pixel proposed work is robust against various attacks. Experiment is done on real dataset image. Evaluation parameter values shows that proposed work has maintain the SNR, PSNR values with high robustness of the data. As digital world is growing drastically people are moving towards different services provide by it. 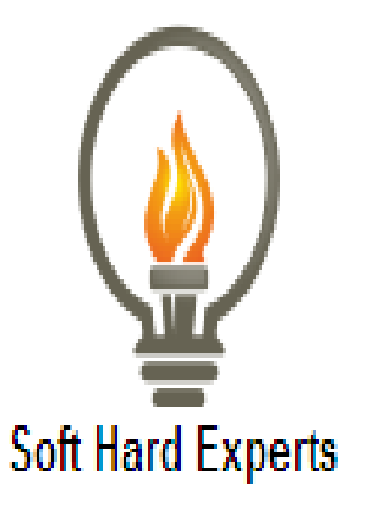 Some of this service are social network, online market. But this technology give rise to new problem of piracy or in other words proprietary get easily stolen. In order to overcome this issue many techniques were suggested and proprietary of the digital data is preserved. So to overcome this different techniques are use for preserving the proprietary of the owner. Out of many approaches digital data embedding which is also known as digital watermarking plays an important role. Here digital information is hide in the carrier signal which resembles the originality of the data like photographs, digital music, or digital video [1, 2, 4]. One of the basic cause of the copyright issue is the ease available of the internet and some software that can modify the content as per the user requirement.